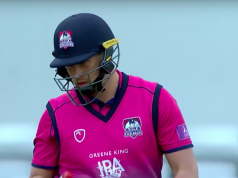 The North Group’s bottom two sides face off in front of the Sky cameras on Thursday night as Northants Steelbacks host the Derbyshire Falcons at Wantage Road. Pre-season talk at Northants was all about their big ambitions for white ball cricket this season, but the Steelbacks have suffered an inauspicious start to the campaign, losing their opening three matches. They remain the only county across the country who have yet to register a win in this year’s competition, however a quirk of the fixture list means they have only played three games in the opening month, in comparison to North Group leaders Durham who have played seven. With three games in four days this weekend- trips to Leicestershire and Yorkshire follow on Friday and Sunday- it is a big weekend for Alex Wakely’s men who realistically need at least two wins from those three to keep their qualification hopes alive, with Sunday’s game the last of Shahid Afridi’s spell. Derbyshire, meanwhile, have only won one of their four games so far this season, also in front of the TV cameras against Lancashire, as they look to avoid a repeat of last season’s competition where they finished bottom of the group. The East Midlands side have invested heavily in overseas players this year, with Tillakaratne Dilshan and Nathan Rimmington following Hashim Amla’s stint, but so far they haven’t been able to inspire the Falcons to end a ten year wait for a T20 quarter-final. 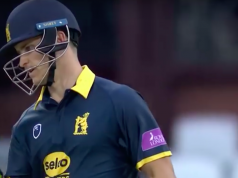 Richard Levi has often been hit and miss at the top of the order in T20, but he has had an impressive start to the campaign with scores of 26, 58 and 42, while he also made a first-class career best 168 in the Championship against Essex this week. With plenty of power in the Northants middle order, a good start should provide the platform for a big score. Wayne Madsen has had a solid if unspectacular start to the T20 campaign so far this year but the Derbyshire captain’s all round ability, along with the likes of Dilshan, provide crucial balance to the side. At his best he is a destructive batsman and handy spinner. David Willey has been released from the England squad and will play for Northants before re-joining the national party for Friday’s ODI at the Oval. 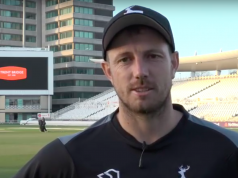 Wayne Madsen returns to the Derbyshire squad having missed much of the last month with a hand injury sustained against Northants in the Championship. He replaces Ben Cotton in the only change to the 13 man squad. Derbyshire Falcons squad: Tillakaratne Dilshan, Wes Durston, Chesney Hughes, Wayne Madsen, Scott Elstone, Billy Godleman, Shiv Thakor, Tom Poynton, Tom Knight, Wayne White, Greg Cork, Tony Palladino, Nathan Rimmington. A dry week in Northampton is set to continue on Thursday evening with a sunny evening in store for Wantage Road, with temperatures set to be around 20 degrees. Umpires: Rob Bailey, Graham Lloyds.